At Old School Cabinetry our clients deserve the best. Our workshop is fully stocked with state-of-the-art wood-working tools to ensure an exact level of excellence with all of our projects. Our ultramodern spray booth guarantees that all of our paints, sprays and stains come out superbly; quality assurance is our number one priority. 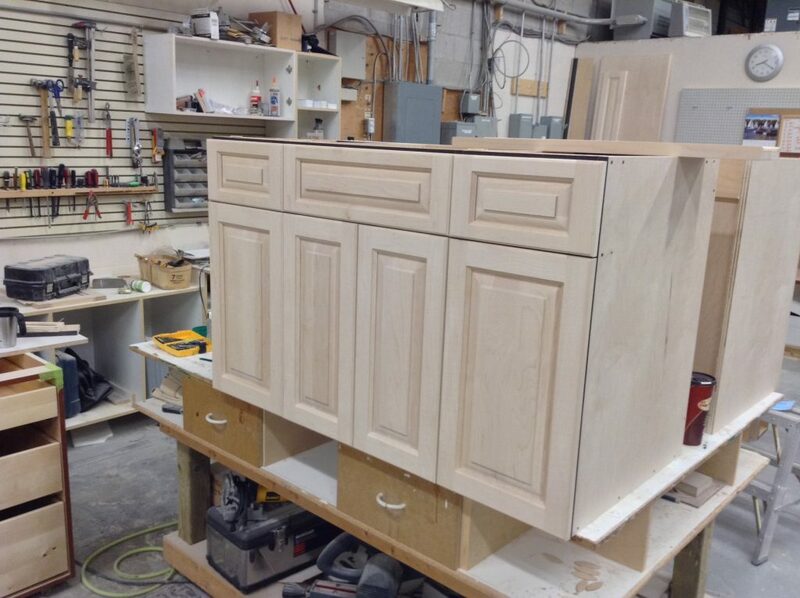 At Old School Cabinetry we carry traditional values and are very meticulous about the woods we use. What problems are you trying to resolve, and do the solutions offered truly meet those needs? What are your time frame requirements? Our entire approach to your satisfaction is based off the fundamentals of careful listening, creative thinking, trust, patience, and teamwork. Our expertise creates spaces featuring superior function complemented by art-inspired elements that can make any room a personal reflection of your style.